A popular brand of diet pills from China promised a quick path to a slimmer figure. Instead, at least six women died in three Asian countries. Dozens have been hospitalized, their internal organs damaged and digestive systems poisoned by substances not listed on its label. Some have sought liver transplants. Fourteen new cases including the two latest deaths were reported in Japan on Friday. The tragedies highlight new social pressures on Asian women to do anything they can to have model-like figures as well as the challenges of regulating the region's booming herbal health product and drug industry. "Women are constantly told they should be thin from advertisements and television, but also from my own women friends, who are thinner than me. It made me feel like I had to lose weight," said Yuko Okada, a 22-year-old student in Tokyo. Suspected in the current deaths and illnesses is Slim 10 and other herbal products manufactured by the Guangdong-based Yuzhitang Health Products company. Complaints against the company emerged in April, when health officials in Singapore found Slim 10 contained undeclared substances - including fenfluramine, which is banned under the country's Poisons Act, and nicotinamide, a vitamin B derivative. 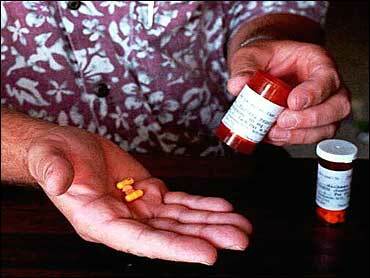 Fenfluramine was outlawed in the United States in 1997 after being linked to heart, thyroid and blood problems. Singapore ordered Slim 10 off drugstore shelves and filed criminal charges against the distributor. Even so, a month later, Selvarani Raja, a 43-year-old Singaporean woman, died of liver failure, and the government suspected the pills. Another woman suffered liver failure in May from taking Slim 10, but was saved by a liver donation by her boyfriend. Since then, China's state-run media, Xinhua News Agency, has reported a death linked to Yuzhitang's slimming pills and Beijing has banned the company's products and revoked its permits. Japanese health authorities, meanwhile, are investigating the products after four more deaths linked to Yuzhitang's products. A 60-year-old woman, died in a Tokyo hospital in May, about a month after she started taking the pills. On Wednesday, officials said they had linked a second Japanese woman's death to the weight-reducing medication, though they also warned that the evidence was largely circumstantial. On Friday, authorities said the diet pills may have been behind the deaths of a 36-year-old woman from severe hepatitis last November and a woman in her 60s from liver disease in February. Japan's Health Ministry announced Friday that 64 people, all but 10 of them women, had suffered liver or thyroid damage, or other ailments that they suspect were caused by Chinese diet medicines. Of those, four died and 28 had to be hospitalized. It released no details on how many of the victims were still in the hospital or how serious their conditions were. Officials say they have found traces of a thyrotropic hormone and an appetite-suppressant anorectic which are only supposed to be used in medicines that were not listed on the products' label. Japanese officials point to a lack of legislation covering safety for products that claim to be nature-based. Hiroyuki Tanaka, a Japanese Health Ministry official, said diet pills and herbal supplements aren't subjected to tests because they aren't supposed to contain the synthetic components of prescription drugs, which can often take a decade to win Japanese government approval. "In Japan, if something is considered a 'health product,' it doesn't need to meet the same high standards that prescription drugs do and its claims don't have to be proven," Tanaka said. Officials also warn that crackdowns will not be effective as long as demand is high and women are willing to risk their health to lose weight. With its long history of producing herbal remedies, China has become one of the world's largest producers of fake medicines, which are believed to be responsible for thousands of Chinese deaths every year. Last year, authorities closed 1,300 factories while investigating 480,000 cases of counterfeit drugs, according to the state-run newspaper China Daily. Last year, 192,000 people in China died after using bogus or poor quality drugs, according to the state newspaper Shenzhen Evening News. Now deaths linked to Slim 10 and other products in other countries have put the spotlight on China's ambitions to become a major exporter of health products and drugs.